Forward and backward tilt mechanism. Dual lift motors totaling 12000 Newtons lifting power. Long and King single available. 200 Kg weight limit incl mattress. 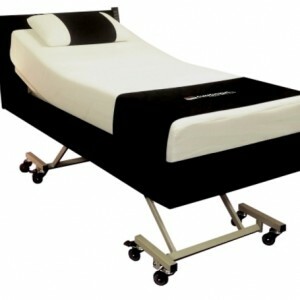 Fully adjustable bed including Hi-Lo and tilt mechanism. Choice of fabrics for upholstered surround. Double and Queen 400 Kg weight limit incl mattress.